General Motors will conclude 2018 as the largest producer and exporter of automobiles in Mexico, the first time in recent history that the automaker has risen to the position. 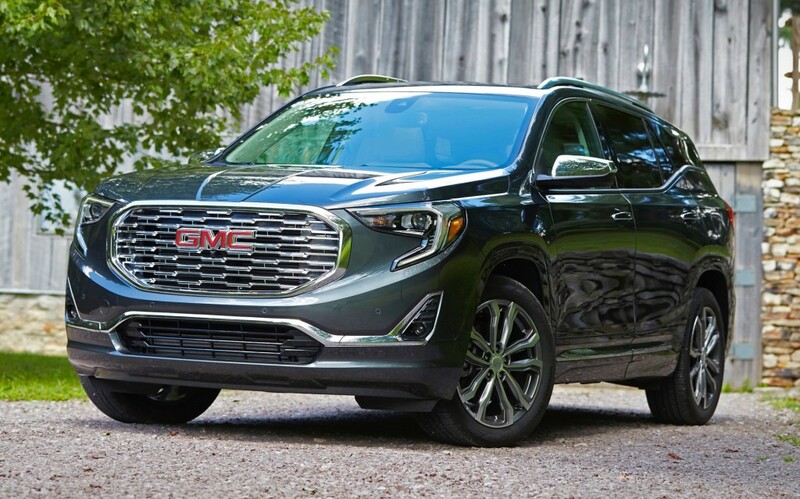 The turn of events is the result of GM’s efforts to refocus its Mexican manufacturing facilities to produce crossovers, SUVs and pickup trucks, driven by strong demand for these vehicles in the North American region as opposed to slower-selling sedans. GM began to pivot its Mexico-based production operations around mid-2017 in response to changing demands of North American customers. Last year, the company ended production of the Chevrolet Aveo (the Daewoo Kalos-based model) – its best-selling vehicle in that country – as well as the Chevrolet Sonic, to allocate the available capacity in two plants – San Luis Potosí and Ramos Arizpe – to the all-new, third-generation Chevrolet Equinox, second-generation GMC Terrain and first-gen Chevrolet Trax. This directional change will go even further in the short term, as GM Mexico plants continue to produce the all-new Chevrolet Silverado and GMC Sierra full-size pickup trucks. Meanwhile, recently-announced plans to discontinue the Chevrolet Cruze will allow the Ramos plant to dedicate additional production capacity to the 2019 Chevrolet Blazer. “Our Silao complex is already producing the new generation of large pickups, while at Ramos Arizpe we will produce the new Blazer SUV,” said Ernesto Hernández, President and CEO of General Motors México (in a statement translated from Spanish by GM Authority). “We will continue with our projects and we are very happy to be able to maintain our manufacturing footprint in the country,” he added. In an end-of-year meeting with the media, Hernández revealed some interesting figures that were compiled by the National Institute of Statistics and Geography (INEGI) of Mexico. He noted that in 2018, GM displaced Nissan as Mexico’s largest carmaker. This was mostly because an overwhelming majority of Nissan vehicles made in Mexico are sedans – a body style that has been impacted the most by the ongoing shift in consumer purchase preferences from sedans towards utilities. Through November, production volume at the three GM Mexico assembly plants totaled 801,163 units, an increase of 67,000 units compared to the same period of 2017. By comparison, Nissan manufactured 717,108 vehicles across its four Mexican factories during the same time frame, a decrease of almost 71,000 units compared to the first 11 months of 2017. The increase in local production means that GM is now the largest exporter of automobiles in Mexico, having exported 693,782 units so far in 2018. 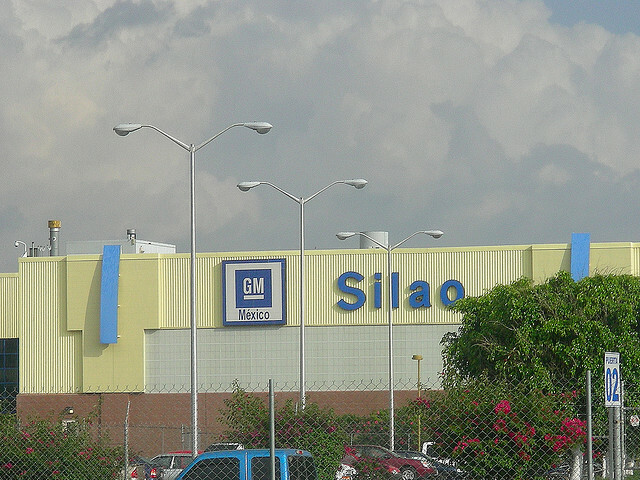 Though most of the shipments are made to the United States and Canada, GM also benefits from the trade agreements of neighboring South American countries. Equinox is made in Mexico in addition to Canada. I don’t see that reflected in your list of Mexico assembly plants. Not hard when you fire 15,000 hard-working Americans and dump your stuff in Mexico. GM should be soooo proud. More reason to not buy GM. Let the Mexicans buy them. I would rather buy something made in the U.S. that is supporting American communities and jobs. After all GM got bailed out by American taxpayers! Oddly Honda tends to be more “American” than the Detroit 3 in terms of both content and production. GM should be called Global Motors seeing as that is what they’ve become. With the sake of Opel we will be getting more Chinese designed/Mexican built models. Look, the SAME red Chevy Blazer we see EVERY DAY on GMA. Come on, GMA, you MUST be getting some kind of advertising dollars for this. And you only show the really expensive top of the line model. No confidence in the regular models???? I think the Chevy Blazer will be a dud sales-wise…High depreciation, interior so so and not the quality seen in other automakers SUVs, and the whole Made in Mexico thing doesn’t go over well when GM just fired 15,000 American workers (and Canadian) right before Christmas. How many times will you repeat the same dimwitted and baseless comment, and how many times do I need to reply to you to set you straight? No, we do not take ANY compensation from ANY automaker. All of our revenue is derived from advertising that you see on the page. The reason we reuse the same photography is that this is the only photography that is currently available of the Blazer. Once the car is actually available, we’ll have more access to photos. It’s as simple as that. But by all means, please don’t let you political position get in the way of reality by accusing a quality automotive news outlet of taking part in some pea-brained conspiracy theory. Let me ask you this: is troll lyfe hard? 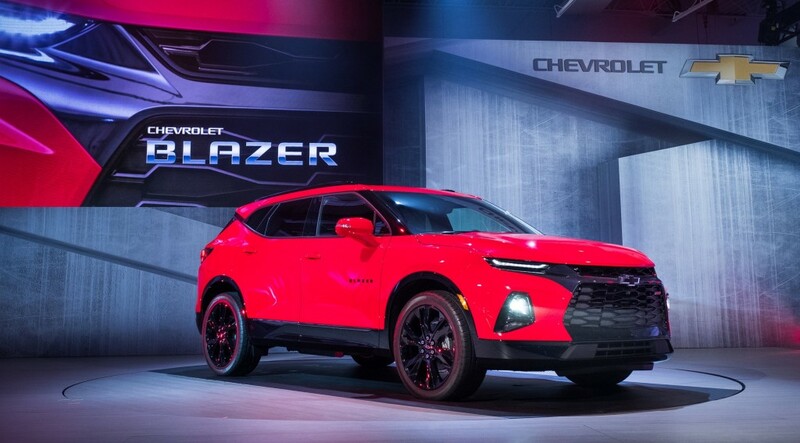 believe me, this new chevy blazer is an absolute big let down and it will be on next year’s worst car of 2019 and perhaps the worst automobile of the decade, general motors should be ashamed of themselves period. vehicles built in mexico can be sold around the world without import duties because mexico has free trade agreements around the world which america does not have. Get rid of these corporatist trade agreements. I really feel that the all-new Ford Bronco is going to kill the fake Chevy Blazer. Sorry, but this is not a real Blazer and being made in Mexico and not the U.S. when so many auto plants are idle and Americans needing jobs is just not cool. Ford has no problem making the new Bronco in the U.S. and Jeep is making the Wrangler in the U.S. Toyota, Honda, Merc and BMW all investing heavily in the U.S. GM just doesn’t get it…Times have changed. They are on the wrong side of history. Your caption on the new Silverado picture is decieving. Last gen crew cabs were buit in Mexico but GM moved production of the allnew Silveado crew cabs to Ft Wayne, Indiana, joining the double cab already built there. Maybe this will change but out of 50 we have received so far we havent seen a single one from Mexico yet. The T1 Silverado and Sierra are also built in Mexico. Fake News so far. Read my comment above. 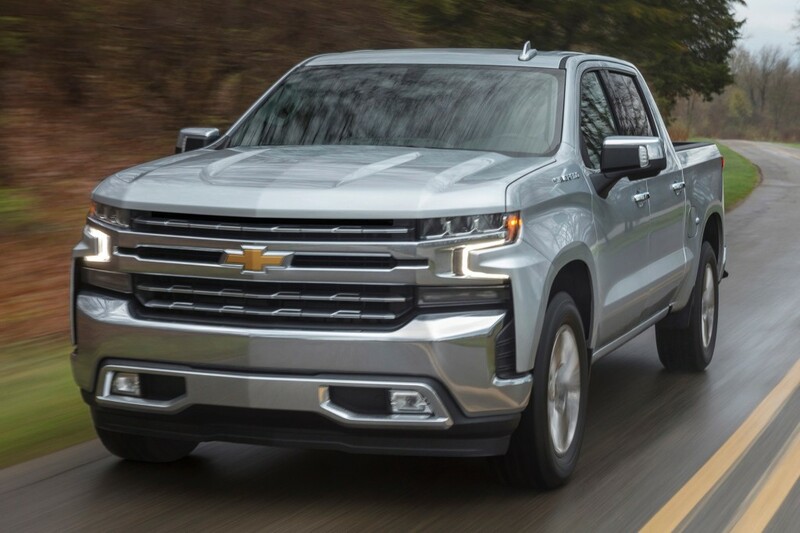 Havent been seen a single one of the all-new 2019 Silverados from Mexico. So now GM is more Mexican that a US company. While foreign automakers continue to invest and make more cars in the US. GM is betrying their costumers and their country. Not surprised, Mexican auto workers make about $2/hour. So we give Mexico our auto manufacturing and we get their MS-13 gang caravan members clogging up our boarders. We can’t even have a go-fund-me for the WALL! Lol. You’re an ignorant troll. I cross through the border every day, and there are no signs of gang members. There are no migrants attempting to cross illegally. They’re living in tents, outside and inside vacant storage facilities in Tijuana. Our ‘President’ is a scare mongerer, and hasn’t personally visited Tijuana, to survey the situation, to have a better understanding. the people in the USA have to make up their minds which is more important more jobs or union membership. the right to work states have spoken including the UAW home state of mich. so it is up to the rest of the states to see where they stand. I’m sorry, what is with this racist commotion about Mexicans making GMs?. GM had factories there (along with Chrysler,Ford) since around WW2 but now it’s flag waving, Americana over one model. Get it right GMA!. Looks like trump is right, gm you have sold out to Speedy Gonzalez land, shame on them, indeed. Not sure why anyone cares that GM is producing in Mexico. Its good for their economy and they need the investment there. Mexicans are hardworking and healthy, healthcare costs are fairly low, and GM is smart to keep a big footprint there. what about americans, don’t you forget about that? Seriousely?? So worrying about the Mexican economy is more important than worrying about the American economy? Only if you are a) Mexican, or b)unAmerican. So which one are you, Brian? It’s sad to see that Gm does not care about Americans or their workers who purchase there vehicles, the best thing we can do is not buy General Motors products built in Mexico. The Late Bill Mitchell must be pissed in his grave right now, he would not approve at what GM has become. I truly wonder how many Mexicans buy the vehicles they make!!! But I guess when you only make $2.50hr it’s awfully hard to live let alone buy a $25,000+ vehicle. Atleast in North America the employees actually buy the products they build. But I guess I’m not the overpaid CEO of GM making the decisions. I know I will never buy another GM vehicle again if they leave OShawa!!!! General Motors CEO Mary Barra’s master plan of how to keep profits high while losing market-share, build more vehicles in Mexico where the cost of labor is cheaper which means higher profits per vehicle sold especially with vehicles like the new 2019 Chevrolet Blazer which is more expensive than competitors which means a had over fist approach to profits per vehicle sold; but this screwing of the American people will not have it’s cost as General Motors will be seen as being no better than a foreign competitor as American consumers may reject GM products and force Mary Barra from office. The 3.6L LFX in my 2016 LaCrosse is made in Mexico, and like the rest of the car (USA transmission, and Kansas assembled) it has been perfect now for 2 years and 35,000 miles. GM quality is on point no matter where the plants are located. Um no. Mexican quality is NOT “on point”. That is a false statement. It was a big mistake to build the Blazer in Mexico. GM will regret this stupid decision. It will be Mary’s undoing. Let’s not forget about GM’s massive Chinese operations. Here’s where you will find a thriving auto industry which can export their products all over the world due to over 40 free trade agreements. Yes it isn’t all about wages, it’s about forward thinking government. I’m sure the slave labor wages Mexico promotes and advocates has a lot to do with it too. It’s funny, everyone rags on the negative of being built in another country yet everyone buys Apple products, of which NOTHING of Apple is made in the USA yet Apple is the best company out there if you ask any Apple fanboi. Apple is the shittiest example of an American company yet millions buy their product and treat it like the best thing out there! Go GM….keep it up. Let all these trashy American Apple owners go buy KIAS and Hyundai’s so they can afford their Apple products! Apple makes 100% of their products through Foxconn in China, employs very few people, pays no taxes and and few pensions. Same goes for Google and they are the biggest companies in the world. When you shop at Costco, Walmart and all the box stores, over 60% of your paycheck goes to China. Americans don’t care. They just want cheap. Americans are more concerned about American jobs when it comes to vehicles, because its part of our heritage and history. I’m not saying that is right, but I think that’s why people care more about where their truck is built, as to say, their cell phone. In reality, people should apply their passion for buying products made in the USA to more than just their car. The car manufacturers are now a very small part of the US economy. In terms of valuation, Ford and GM are very small players. Is this why the Domestics keep losing market share beyond the coasts right into the heartland? Americans shop quality and price and have no loyalty to working neighbors. From what I understand Honda wins most American content and they have plants here. Even though money goes back to Japan the seems more American than GM these days. We live in the era of Global Motors and worldwide companies. We lack the loyalty found in France, Germany and Japan. What happened to the UK (death of MG, Morgan, Rover, Leyland) will long-term happen to the US: Death of a once dynamic car industry. I don’t buy GM anymore or Apple products. MAGA.